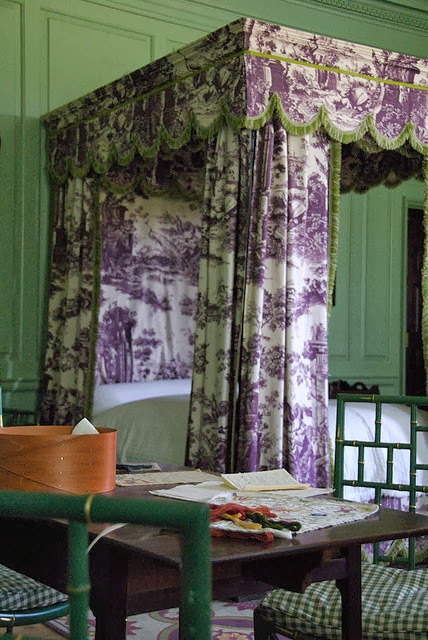 These modern versions of purple and green Chinoiserie rooms below seem somewhat less bold when viewed against this, right? 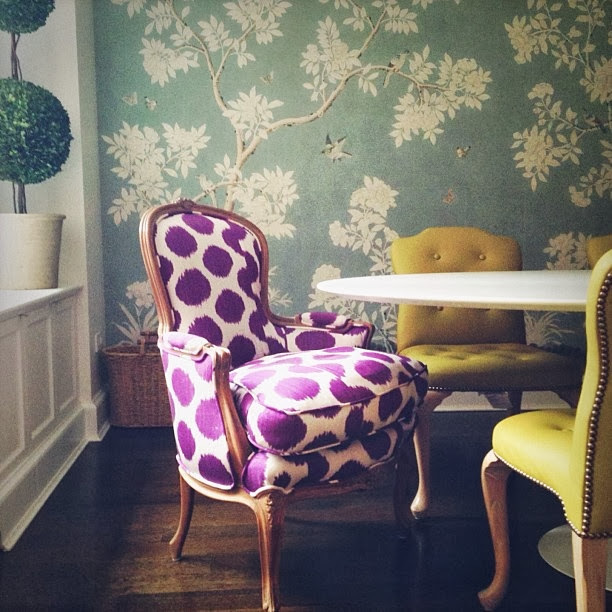 An interior designer emailed me trying to identify this Chinoiserie wallpaper for a client. It may be discontinued. Can any of you help? Update - I have the best followers. 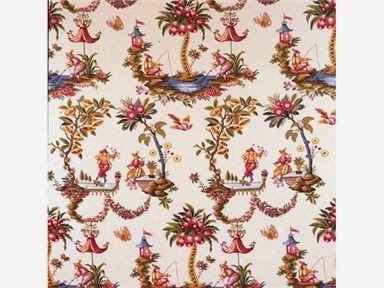 This is Brunschwig & Fils La Danse, still available as fabric but apparently no longer in wallpaper. Thanks so much Meg. 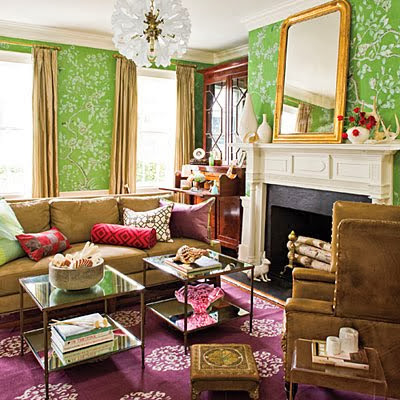 Gorgeous rooms!! I love to see year ago images that look as fresh as today! Le papier peint mysterieux ressemble beaucoup,aux modeles "au chinois" inspirés des dessins de Pillement,repris par Reveillon.Il faudrait voir du coté des Editions Le Manach Paris..
it really shows that chic design can be more than a temporary trend, but stay fresh forever! :) unfortunately i cannot help you with the mystery wallpaper, but it's gorgeous!